Gamers from the '80s will recognise the name Intellivision. This unique system offered a serious challenge to the Atari VCS, but the video game crash of 1983 sank the home console sector in North America, taking the Intellivision down with it. Still, the brand has endured, and in 2020 it will see something of a revival with the Amico, a brand-new console which mixes past glories with modern tech - and has some key former Nintendo personnel behind it. Remember the name Perrin Kaplan? She was vice president of Marketing and Corporate Affairs for Nintendo of America Inc. when she parted company with the firm in 2009, having joined as corporate communications manager in 1992. She oversaw the launch of pretty much every Nintendo system during that period and effectively created NoA's marketing department. She's not the only big name involved; Beth Llewelyn worked in PR at Nintendo for 12 years, while Scott Tsumura was previously employed within Nintendo Software Technology. Alongside industry veterans such as David Perry (he of Shiny Entertainment fame), Phil Adam (founder of Spectrum Holobyte) and Mike Mika (who has worked at Disney and Capcom during his career), the team behind this new console clearly has the experience. The project is being headed up by none other than famous video game composer Tommy Tallarico, who is also a key name in the industry. 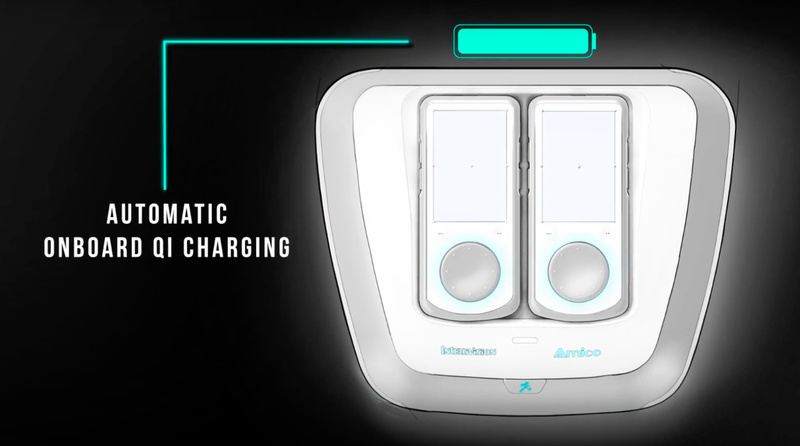 The Amico will use wireless, rechargeable controllers which boast motion-sensing capabilities and come with a screen, and you'll be able to download a smartphone app to turn your phone into a controller, too. 'Reborn' versions of classic Intellivision titles are expected to be available, but the trailer hits at other titles, including R-Type and Toe Jam & Earl. The footage even uses the NES box art for 10 Yard Fight. These games - which are 'console exclusive' according to the trailer - will be made available via a digital store and will be backed by online leaderboards and personised achievements. Each title will be priced between $2.99 and $7.99, while the console itself is expected to retail for between $149 and $179 when it launches on the 10th October 2020. It's an interesting play, for sure. Can a console such as this really find a space in a market dominated by Sony, Microsoft and Nintendo? Is that price point going to be competitive enough to convince people to buy when they can pick up machines like the NES and SNES Classic for less? Will the Amico even make it to retail, given that all that appears to exist at present are concept sketches and that release date seems like a long way away? Share your thoughts with a comment below. It’ll never see the light of day or flame out in spectacular fashion. If it's hackable like any of the new classic systems that have been coming out people with buy it. The team behind it looks really solid, but I usually have no trust in projects like this. The good point is that it won't enter the same market as Nintendo, Sony or Microsoft, it's a totally different target, so no risk of competition. I'm curious about it. At that price point, it's going to be severely underpowered. Almost like the Ouya all over again. And $7.99 games will be mobile games port mostly or comparable quality. It's unlikely AAA console quality games can be made profitably at that price, unless they sell tens of millions of the Amico. Another concern is the lack of buttons on the controllers. So it's mostly Wii type games utilizing infrared/gyroscopes? More systems and more games are welcomed. I hope this is a success for Intellivision! The buttons are on the sides of the controller, just like on the original Intellivision, and as show in the trailer. The graphics and sound was amazing for the time, especially compared to the 2600. The yawn cannot be overstate---wait, did you just say Imagic classics reborn??? Tommy Tallarico is the CEO?? David Perry is involved? Okay, I'm listening. They're already giving up more information than anything Atari has offered with their own empty box of promises. It's going to be a tough sell--my living room is already cluttered with retro goodness--but I'll keep an open mind. Wow, Andre Lamothe! Last time I heard that name I was buying his game programming books back in the 90s. @Zorox88 if it's a digital shop then i assume the games will be cloud stored to avoid that happening. LOL at those controllers. Make a enw system and evolve the system a little. it all sounds cool but i could never consider it for the conbtrol scheme. Hard pass for me. Only a few old games really hold up for me, and outside of sega and Nintendo, I’ve never played other retro consoles. Fair play for giving it a go. Will probably end up getting this for the novelty but can't imagine I'd use it much. Glad someone answered the call for a retro console with gimmicky controls. Impressive trailer; it said a lot of the right things. The idea of pairing smartphones as standard is something I thought Nintendo were going to do when it was still the NX. It's just a question of whether it ever sees the light of day. I'd buy it. I don't see this thing ever being remotely successful. What is the point of having a touchscreen on the controller? Nintendo already tried this with the Wii U. Many games won't utilize the screen in any meaningful way. The touchscreens will dramatically increase the cost of the console without any tangible benefits. Also, the Intellivision controller may have been the worst game controller ever made, so why in the world would you want to emulate it? And is anyone really nostalgic for the Intellivision? Most of its games were a joke because they were 2-player only. Without a single-player option, these games won't be any more fun to play today than they were back then (And as for playing them online, the install base will never be big enough for that to work). Still waiting on Commodore 64 Mini myself. My one main question about this console. Where are the gameplay of the games? I'm interested. My father was a big fan of the original Intellivision when it came out so it would be cool to play with him on this new one. And what about other properties? I loved playing "Discs of Tron" on Intellivision back in the day but I highly doubt Disney would want to play/negotiate...I think. Same with "Advanced Dungeons & Dragons." Negative Nancy’s always show up to cast a shadow. Completely unnecessary. If the systems succeeds then great if not then bummer. I love the idea and they really do have an all-star cast behind it, which certainly bodes well for the Amico successfully coming to market. 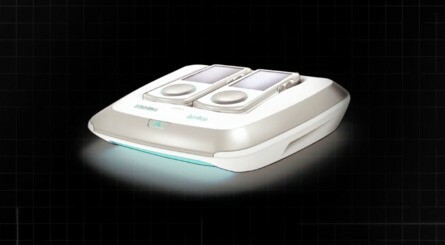 My only criticism is that it would sure be nice if they changed the aesthetics of the system to make it look less like a piece of medical equipment and more like the Intellivision II. That said, I'm totally down for some Advanced Dungeons & Dragons: Cloudy Mountain and Treasure of Tarmin with modernized graphics! @Zorox88 Not a classic system like the others though. Had a lot of fun playing the original at my cousin’s house in the early and mid 80s. Cool system, not mind blowing. I’ll keep an eye on how this one progresses. The Intellivision was my first ever home console. I have strong memories of playing StarWars Empire Strikes Back. This is one I will watch with interest. Looks like a samwhich toaster, and that's all it'll probably be any good for. And not a single game shown. Interesting premise. The old App store when the Iphone/Ipod Touch first launched was filled with graphically primitive but COMPLETELY ENGAGING titles that retailed for under $10. It was wonderful... the IAP fests that have largely replaced this make me sad. If there's a unique, inexpensive system focused on curiously addictive little games within a good console ecosystem, there might be something here. At the very least, it's more promising than that Atari branded Steam-lite Machine that will never happen or the Ouya that was basically just phone games plugged into a TV. @Hemibear I’m with you! 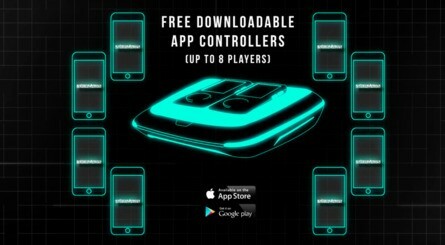 Would love to see a retro Colecovision launch with better controllers!! This is the first system of its type that I'm actually interested in. The online capabilities (especially leaderboards and achievements for the classic games) are very appealing, and for once it's not $300+ like some companies think they will get away with. And though the games may not be as recognizable to most people today, there are lots of them that still hold up incredibly well. I'm going to be keeping my eye on this one. 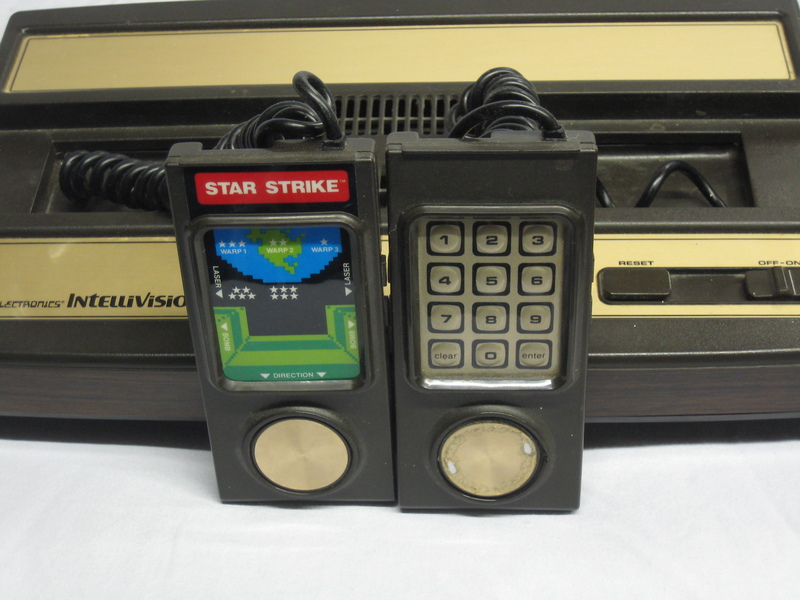 My first video game console was an Intellivision, which we got for Christmas in 1982. However, I'm not terribly interested in nor excited about this. In all honesty, most of the games have not aged well even in terms of gameplay. My family got rid of our Intellivision back in the mid-90s, but I picked up an Intellivision Lives! disc for the (original) Xbox for about $5 back around 2005. Even the games that were my favorites as a kid were too simplistic to hold my interest. I suppose that the pure action/arcade titles might hold up alright with a modern facelift, but I always preferred games like the two AD&D titles, Sea Battle, Swords & Serpents (iMagic), Utopia, etc — concepts which were very limited by the technology and which have been far better realized on systems that came later. Also, the controllers were terrible. Not just because they stopped working frequently (the circuits inside the controller would wear through with enough use and needed to be replaced), but they weren't very responsive even when they were new. The controllers were also quite uncomfortable to hold; Nintendo's D-pad and horizontal orientation were a huge improvement. Most of the early simple games still came with overlays, even if they were primarily decorative (as in, they only used the keypad for numeric input — number of players, etc). Many of the later simple games did not come with overlays, especially 3rd party games. 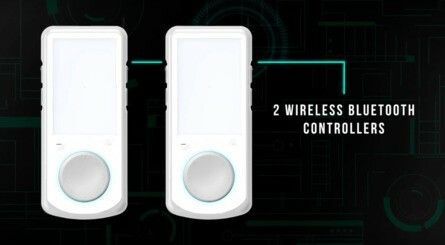 So that is the purpose of the touchpad on these controllers — to take the place of the custom button functions and layout for individual titles. Many of the "updated" original games will use this, as they aren't playable with only the side "Action" buttons. It looks really interesting but I hate the touch screen controls, and the physical buttons don't seem comfortable to reach and use. It sounds neat, but I just can't get the memories of the Ouya out of my head. I'm going to need to see more info before I even consider it. Because if there's one thing that history has taught us, it's that supporting pie-in-the-sky hardware projects with improbably ambitious design goals is always worth it. Now if you'll excuse me, I'll be inside playing my ZX Spetrum Vega+ while waiting for my Atari VCS to show up. I can't wait for this! The Intellivision version of burgertime is still my all time favorite and I still play it! They highlighted Super Burgertime in the video so now I'm really stoked! As a dad of two very young boys, I've found that there are actually few games that I'm able to play with them but I could envision that games like those that I've played on Intellivision redone with their family focus could hit just the right mark for us. Here's hoping! How much do you wanna bet this will be another Coleco Chameleon? This is going to be so completely unnecessary and yet because of its lineage I am so totally in. Seems more like a Classic Throwback console than a new one altogether. This will fail. There’s zero nostalgia for Intellivision and there’s too much competition for it to succeed. I had an Intellivision and seriously I need to see gameplay before I even move forward with a maybe. It was a great innovative platform but I am not sure it can compete two years in the future against a new Switch and a PS5. I understand their market approach but is this prototype consumer still around? This is, after all, 2020 when it launches not the 1980s when video games were a crazy volatile new form of entertainment that Mom would buy you for Birthdays and Christmas. So is it actually new? Or just a remake clone system? Intellivision is before my time. I only learned about it thanks to Angry Video Game Nerd back in the day. I've never gotten the impression that a lot of people are nostalgic for it. I imagine there are some, certainly, but is there really demand for something like this? I am intrigued, but I think the best way to try Intellivision is to get a copy of Intellivision Lives for the Nintendo DS. It has potential. Color me interested! Totally piqued my interest. Yes, let's see some games, but the idea of a destination to play with these old school ideas through a new modern lens and approach it from a novel angle with many pioneering names behind it sounds delightfully crazy and appealing to me. Very targeted with strong opinions about gaming from an era of gaming that I experienced is bound to make this feel very separate from the other consoles, potentially in a good way. After 2 years, I expect some of the rough edges to be sanded down (how about some tactile feedback on the shape and surface of that disc control-pad while still respecting the original), and there is plenty of time to reveal games more. Also, the screen on controller was always a good idea never quite realized successfully — Dreamcast, GBA+GameCube, Wii U all had key deficiencies — so I'd love to see someone take another crack at it. it may seem good on paper, but in a functioning real life customer and competitor battle arena, it will be the lamb...and lambs are meant to be slaughtered !!! @jhewitt3476 I don't see this as a competitor with PS5 or Xbox whatever at all. It's much more in line with Nintendo-style consoles but feels, to me at least, in a different niche space. The price makes for a pretty good impulse buy, if nostalgia is triggered. The timing might be a little late with the age of people who remember these games getting a bit high to have younger kids to share it with, but I see much more potential than you seem to, at least. 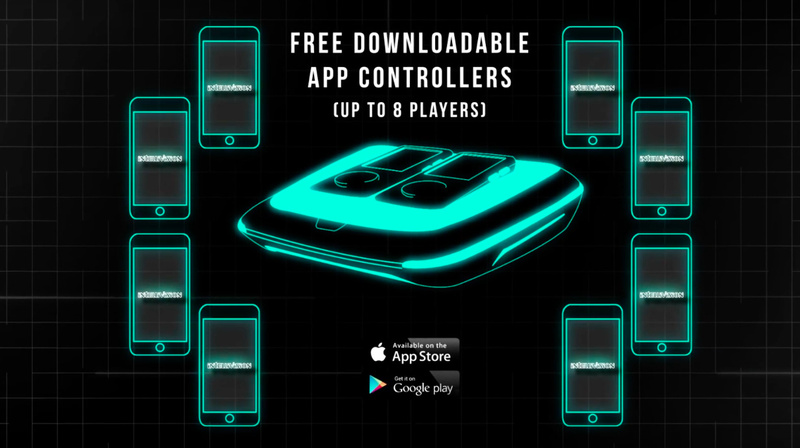 It has even managed to separate itself from mobile gaming by "banning" in-app purchases and dlc and going with low-priced smaller sized 2D games, many of which have nostalgic tie-ins. Carves out a nice space, and hopefully the team expects it to be a modest to small-sized audience in the business plan. It does have much more to prove, though. Nope. Intellivision was never good, definitely not worth anywhere near what they're asking for. I've never played Intellivision. Good luck to these people. Well Coleco does have a plug n play. One of my coworkers who is 46 years old and has only ever played the Intellivision would probably be interested in this. I'll have to tell him about this next time I see him. The updated Imagic games alone would be worth it to me, along with some others they mentioned. We had an Intellivision and 2600 in my house from 1982 until I got my NES in 1987. I'm not to sure about it yet, would be interested in gameplay. I'm guessing the touch screens on the controllers are monochrome, but that the hdmi is full color. Seems like it could use more buttons, a minimum of A/B like the NES controllers or A/B/X/Y like SNES opens up more possibilities. I think it's about time the Americans get back in to the game console market, now that Microsoft have all but admitted that they have no ideas left. That mysterious Atari announcement last year really doesn't count. This new Intellivision initiative is headed by some real pros that I have an utmost respect for. And while it smells a bit like the phone-tech based micro console experiments that OUYA and GameStick hit a wall with, I'm convinced there are lots of untapped brilliant ideas out there that can help make this a successful brand revival. That looks like an elder-care hygiene product from the 90s, and no end-user will have a clue who those people are. This video gets the job done of telling the industry that something is coming, but ultimately raises more questions than it answers. Which might be a good thing, if the answers are coming. All that the guys making this are saying shows that the console is a joke. "We are not targeting gamers, instead we want our buyers to be grannies that have nostalgia of the 80's"
"We will do better 2d platforms than ps5 because we will only do 2d games!" @harouhiko My thoughts exactly. They probably wanted to go for "Amiico" but didn't because of Nintendo's lawyers. Is there really room for another home console when people can just play similar games on their mobile? Ouya tried their best, but it didn't work out. The more they leave the old Intellivision behind, the better, so the idea of a totally revamped console is interesting. But just focus on newer/revamped games. Nobody wants to play original games that old. The NES is as far back as most people want to go. Anything earlier only gets picked up for 2 minutes. Seriously, how long can you play Pacman or Space Invaders before you start watching grass grow instead? Intellivision Lives! was absolutely one of my favorites on the Gamecube. I'd love to play me an updated Astrosmash or participate in a Snafu tournament. If it comes out, I'll likely buy it. @harouhiko If it was the '90s, maybe the could've partnered with dead gas station brand Amoco to sell it as well. This is EXACTLY what I have been looking for. Not that piece of junk AT Games Genesis, not the fake ColecoVision, not the real ColecoVision re-release, not the probably fake Atari VCS, but this. I love the console price, game price, and controllers. Those exclusive games better be good, otherwise this console will end up alongside the likes of Ouya. Even Valve bowed out of the space with their Steam machines. No exclusives.